Ginetta specializes in land use matters, including the California Environmental Quality Act (CEQA) and the California Coastal Act. Ginetta’s practice encompasses both advisory work and litigation, allowing her to handle matters seamlessly from the administrative level through trial and the appellate courts. Ginetta is frequently asked to assist on controversial projects that appear headed towards litigation, including providing advice on CEQA compliance, local coastal programs, and land use entitlements. Ginetta’s combination of substantive knowledge, strategic thinking, and advocacy skills make her one of the state’s leading writ litigators, resulting in five published Court of Appeal decisions in eight years. These cases include important decisions addressing exemptions from CEQA for projects in transit priority areas (Covina Residents for Responsible Development v. City of Covina, et al. (2018) 21 Cal.App.5th 712), clarifying the level of administrative appeal review required for subsequent CEQA review (San Diegans for Open Government, et al. v. City of San Diego, et al. (2016) 6 Cal.App.5th 995), and establishing limitations on when attorneys’ fees may be awarded in CEQA litigation (Coalition for a Sustainable Future in Yucaipa v. City of Yucaipa, et al. (2015) 238 Cal.App.4th 513). 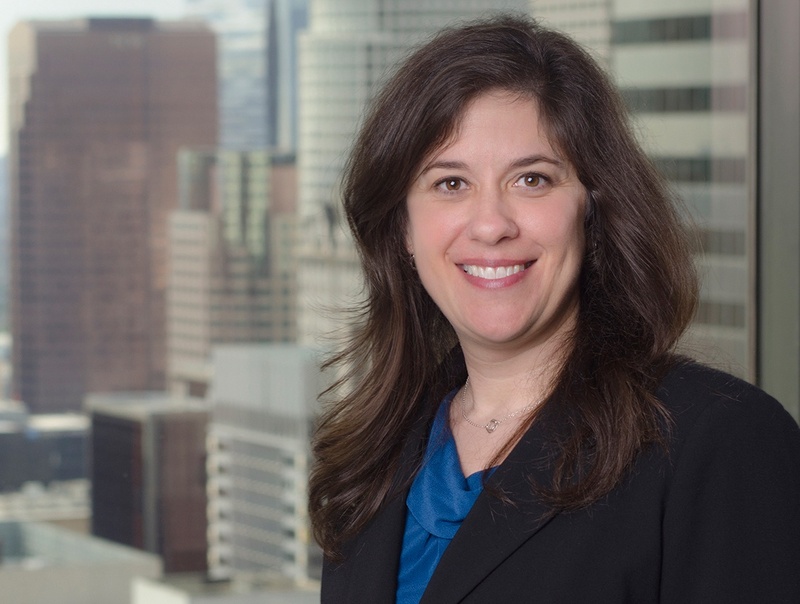 Complementing her land use practice, Ginetta has developed an expertise in legal issues affecting special districts. Ginetta currently serves as General Counsel to the Clovis Veterans Memorial District. Ginetta also has represented water agencies and community services districts in litigation, and often handles matters involving matters before local agency formation commissions (LAFCOs). Ginetta currently serves as General Counsel to the Clovis Veterans Memorial District. Ginetta frequently represents clients in litigation involving writs of mandate, land use (including CEQA and the California Coastal Act), and validation actions involving complex finance matters. Most recently, Ginetta has successfully defended challenges to land use decisions of the cities of Beverly Hills, Covina, Manhattan Beach, Pasadena, and Yucaipa. Ginetta currently serves as Chair of the Firm’s Coastal Department and previously served as Assistant Chair of the Firm’s Litigation Department. Ginetta is also a member of the Firm’s Management Committee. Ginetta has been selected to the Southern California Super Lawyers List in 2014-2018, and previously was selected to the Southern California Rising Stars List in 2010-2013. Ginetta is AV Preeminent Rated by Martindale-Hubbell. Covina Residents for Responsible Development v. City of Covina, et al. (2018) 21 Cal.App.5th 712 (holding that CEQA exemption which took effect three months before city approved project applied and exempted consideration of project’s parking impacts; represented city). San Diegans for Open Government, et al. v. City of San Diego, et al. (2016) 6 Cal.App.5th 995 (clarifying level of administrative appeal review required for subsequent CEQA review; represented real party in interest). Coalition for a Sustainable Future in Yucaipa v. City of Yucaipa, et al. (2015) 238 Cal.App.4th 513 (establishing limitations on when attorneys’ fees may be awarded in CEQA litigation under Private Attorneys General Act “catalyst” theory; represented city). Eiskamp v. Pajaro Valley Water Management Agency (2012) 203 Cal.App.4th 97 (upholding dismissal of a challenge to an ordinance that increased groundwater augmentation charges for well operators; represented water agency). South Orange County Wastewater Authority v. City of Dana Point (2011) 196 Cal.App.4th 1604 (holding that a mitigated negative declaration prepared for a rezoning project was not required to study the impacts of an existing sewage treatment plant on the project; represented real party in interest). Habitat Trust for Wildlife, Inc. v. City of Rancho Cucamonga (2009) 175 Cal.App.4th 1306 (upholding city’s right to select a qualified conservation entity to receive mitigation lands dedicated by a developer; represented city). San Marino Heritage, et al. v. City of San Marino. Successful defense of city’s use of categorical exemption and determination that no historic resource was present; no appeal filed. The Inland Oversight Committee v. City of Covina. Successful defense of city’s use of mitigated negative declaration under CEQA; no appeal filed. Coalition for Preservation of the Arroyo v. City of Pasadena. Successful defense in trial court and on appeal of CEQA challenge to environmental impact report (EIR) for the use of the Rose Bowl as a temporary NFL location. Dunex, Inc. v. City of Oceanside. Second chaired bench trial leading to judgment in city’s favor on $30 million dollar inverse condemnation claim stemming from city’s denial of mobile home park conversion. Successful prosecution of multiple validation actions, including for multi-tiered bond transaction, Property Assessed Clean Energy (PACE) program, and refunding of pension obligation bonds. A recognized expert on administrative writs and other litigation relevant to land use, Ginetta is a contributing author to several leading treatises.